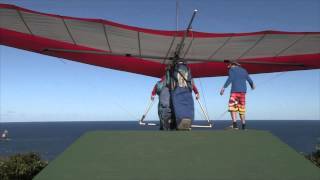 Byron Airwaves Hang Gliding School conducts hang gliding tandem introductory flights and lessons from Cape Byron and Lennox Headland. 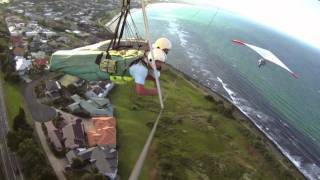 All Byron Airwaves tandem flights include insurance and they are licence holders with the Cape Byron Headland Reserve. They have been flying the local headlands and beyond for over 25 years now and can offer an exciting yet relaxing, quiet hang gliding flight to experience flying freedom. Keep a lookout for the dolphins and sea life which abounds around the marine park along the coastline. Migrating whales can be seen while soaring in the winter and spring months of the year. Further lessons and instruction is available. Gift vouchers for the Tandem Flights are also available and can be posted out through Australia Post or directly emailed for that special person or occasion.